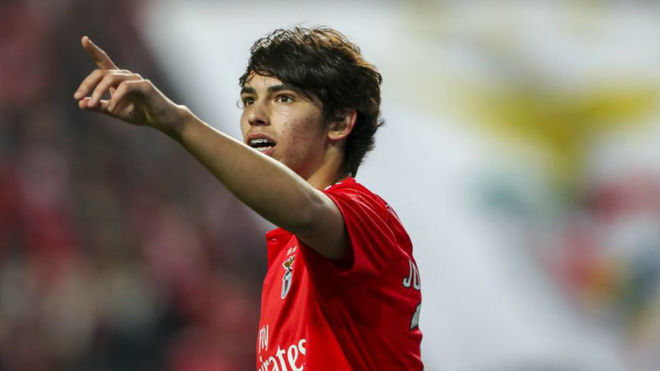 Joao Felix is the latest phenomenon to appear on the European scene, following on from Kylian Mbappe the Portuguese star has impressed with his performances in his teenage years, and the continent’s elite clubs are circling around him ahead of the summer. It’s taken a little more than half of a season in Benfica‘s senior team for Felix to already be considered one of the brightest prospects in the world, and it’s likely the Eagles will receive a staggering transfer fee when they do eventually decide to sell him. With every passing match Felix seems to improve, with his latest feat coming in the form of a hat-trick in the Europa League quarter-final against a strong Eintracht Frankfurt team. Jorge Mendes has already been appointed as the 19-year-old’s agent, and he was the first choice for the player given his track record with getting his clients the best moves possible. Mendes is currently working on several different escape strategies from the Estadio da Luz, and he has been quick to alert clubs he considers friendly towards the availability of his young client. Real Madrid and Barcelona have been closely linked with a move, although Los Blancos have already informed Mendes they have no desire to part with 120 million euros to sign the player. Other clubs have watched him extensively, especially Manchester United who have been closely monitoring Felix and Bruno Fernandes all season long, yet Barcelona too have decided that 120 million euros would be too expensive an outlay for Felix. In actual fact it is Juventus who appear to be in pole position to sign the wonderkid, especially given Felix‘s desire to play alongside Cristiano Ronaldo. Meetings between Mendes and the Bianconeri‘s Sporting Director, Fabio Paratici, are scheduled for this week which will kickstart negotiations in earnest. Relations between Mendes and Juventus remain at a very positive level following the transfer of Cristiano Ronaldo last summer, and this could play in Juventus‘ favour. Benfica have thus far refused to lower their demands, and a figure around 75 million euros has already been dismissed out of hand by the Lisbon club. Manchester City and Bayern Munich are monitoring the situation from a distance, although the Bavarian club’s president, Uli Hoeness, has confirmed on Tuesday morning that the club doesn’t have either the fiscal capability or desire to sign a player for over 100 million euros. “There definitely won’t be a 100 million euro transfer this year, but I have to admit that ten years ago I couldn’t have imagined spending 80 million euros,” Hoeness explained in an interview with DPA.